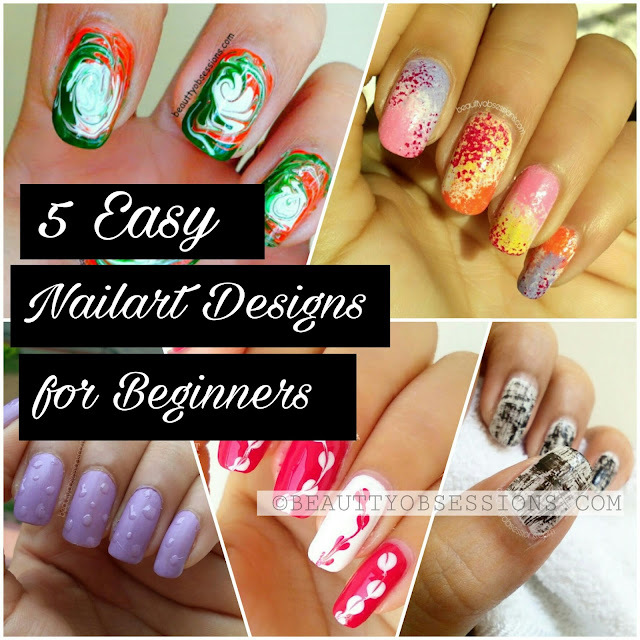 5 Easiest Nailart Designs for Beginners..
* This post is a part of Happiness Blogtrain. 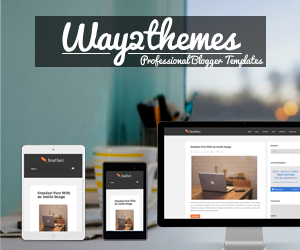 I would like to thank my fellow blogger Nehal for introducing me.. I was too much confused what to write for today's post because it is all about my happiness and I have so many options which makes me feel happy.. Before jumping into the post I want to write few things about me. After completing my MBA I was very sure to work in a corporate sector and I did too.. I was a banker but I left the job after relocating to a new city . 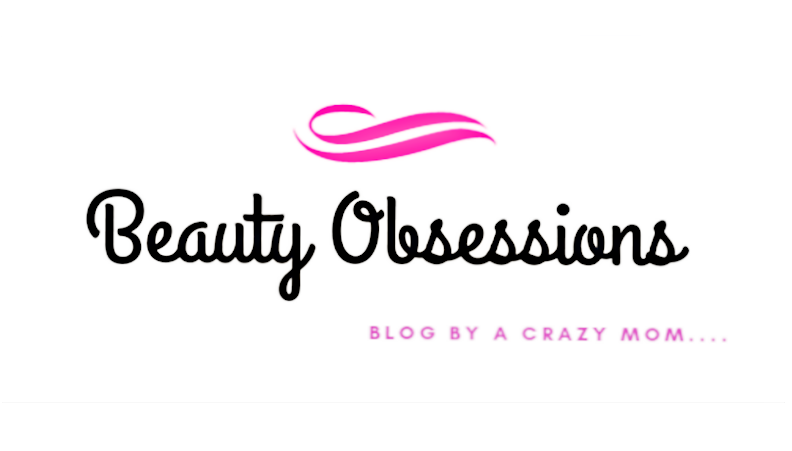 Then to utilize my time I stepped into the blogging world slowly and I found my happiness in it. Then I never look back. It was very difficult to manage blog, baby and home all alone initially but as time passed away it becomes normal for me. Then I found my second happiness in doing nailarts. When I am recalling my school/colllege days, I remember, I was very poor in applying even nail polish on my nails and now see, I enjoy every moment of doing nailarts . 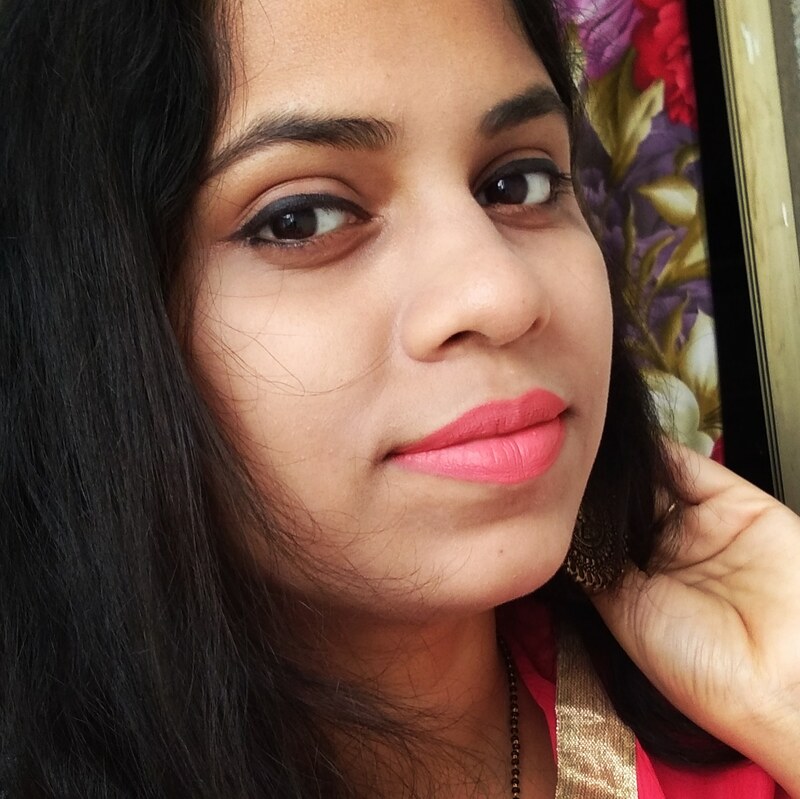 Whenever I feel sad, I love to dress up properly and put a bright lipstick and heavy kajal . Then the second thing I do is, doing nailarts . I feel really relaxed whenever i saw my painted nails . I had never ever imagined that I will be a nailartist (though I am not a pro till now). All and all the moral is, never ran behind (or blame anyone) for your happiness, try to find that inside you..
Now come to the track.. Today I will share 5 easy designs nailarts for beginners which tutorials I have already shared on blog earlier.. I will give the links here for better understanding . Let's move.. This is a very easy and beautiful nailart pattern which needs only few minutes to create. All you need a needle and two or three nail polish shades . I have created the pattern for Independence day .. Find the tutorial HERE . This is another beautiful 3D nail design which needs no time to create. . Here you will need a nail polish shade for base colour and a dry, gooey transparent top coat for this awesome nailart. Find the tutorial HERE . This is a no-tool nailart which is again very easy to create. Here you will need a base colour polish and a contrast shade nail polish. Are you eager to know how I create this design, then visit the link HERE . I had done this design for Holi . Here you will need few colourful nail polishes and a facial sponge .. It is a very random design which anyone can draw.. Have a look at the tutorial HERE . This one is one of my fav nailart which is beautiful and very easy to create. Here all you need a needle to drag and two shades nail polishes. I have created this design for Valentine's Day. Find the tutorial HERE . 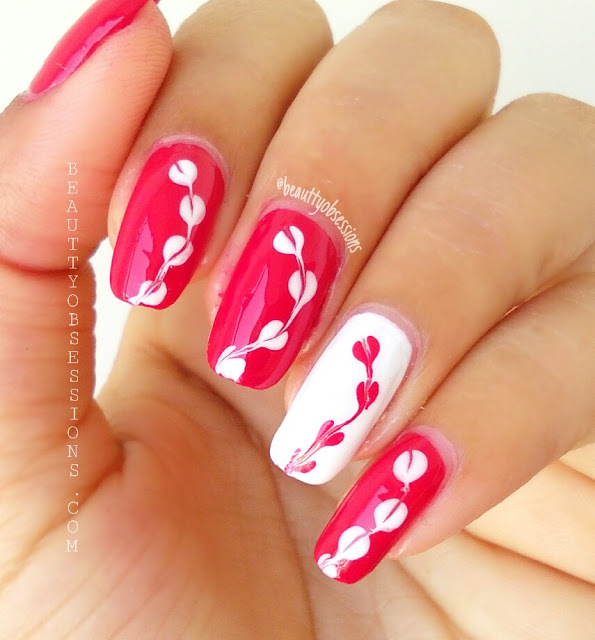 There are so many designs and patterns of nailarts on blog.. I have selected few basic designs only for you.. Hope you love these designs..
** This post is written as a part of the “Happiness blog train” presented by Blogsikka and Mom’s Methods and sponsored by “Nayasa”. Nayasa has come up with a new range of bottles. This range of bottles are insulated, they maintain the liquid’s temperature inside the bottle either hot or cold. The new designs are practical and aesthetic. From holding in palms to the cap, everything is designed carefully. The next destination is Shreenithee's blog. She is a Bangalore based blogger and started sharing her thoughts through her article, for enthusiasts who cherish safe skincare, healthy lifestyle, appreciate nature, respect environment and are intrigued to know some science behind food. 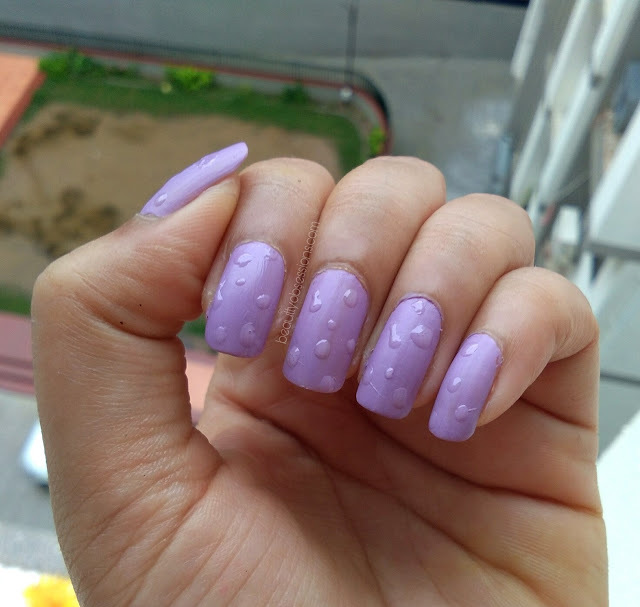 That nail drop pattern fascinated me the most. Will try doing it. Such beautiful kept nails, well would try it out for some special occassion. Everything still looks difficult to me. I will surely try one and two to start with. Oh wow! Those looks beautiful! How I wish I could do the same!! 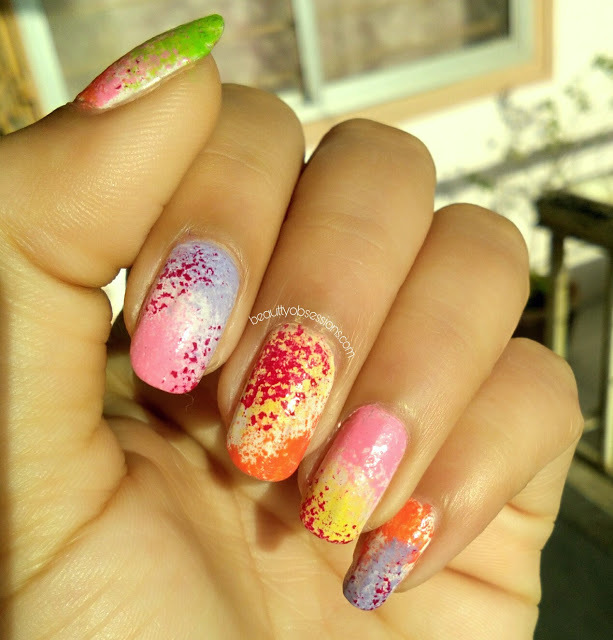 I loved that abstract nail art so much, thanks, I am in beginner category and would love to try them. These are such beautifully done nail arts.. I love the 3d one the most. i am not a nail art person, but these designs are so unique and pretty ! will try one soon. These are really Easiest Nailart Designs for Beginners ! Thanks for sharing. Will share with my family and friends ! Lovely and highly creative. Will try some on festive occasions.